An Iowa couple has been charged with murder in the death of their 4-month-old son whose maggot-covered body was found on a baby swing in the family's home in August. 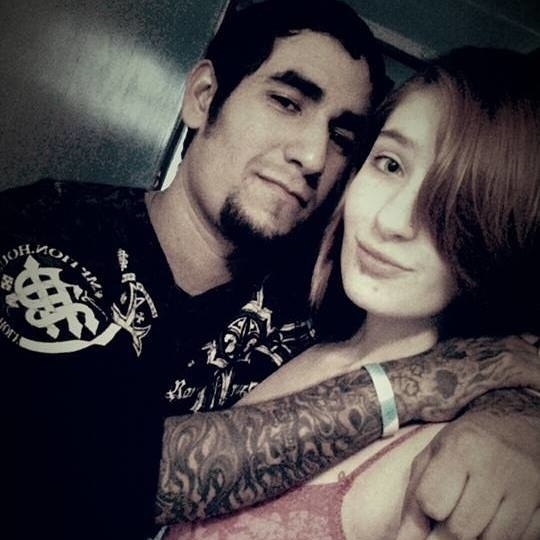 Cheyanne Harris, 20, and Zachary Koehn, 28, were arrested Wednesday, on charges of murder in the first degree and child endangerment causing death, the Chickasaw County Sheriff's Office said. “The facts of this case go far beyond neglect and show circumstances manifesting an extreme indifference to human life,” read a criminal complaint provided to BuzzFeed News. On the afternoon of Aug. 30, Koehn called 911 for an ambulance to his house, according to the complaint. Sterling Koehn in a picture posted online by his mother after his birth. Koehn allegedly told the dispatcher that his girlfriend, Cheyanne, had fed their 4-month-old baby, Sterling Koehn, at 9 am. He said that when she checked on him again at 11:00 or 11:30 a.m. the baby had died. When authorities reached the couple's house in Alta Visa, they found Sterling dead in a powered swing/seat in one of the bedrooms. An autopsy found that Sterling was underweight at less than seven pounds, placing him below the 5th percentile in size and weight. His body was found to have maggots in “various stages of development” in his clothing and on his skin, the complaint said. In subsequent statements to police, Koehn and Harris allegedly claimed that they had last checked on Sterling the previous day. However, a forensic examination of the maggots on his body revealed that Sterling had not had a diaper change in more than week. He had also not been bathed or removed from the swing in over seven days. Authorities said that the parents' account of how Sterling died was “inconsistent” with the autopsy and investigation of the incident. The couple has an older child who lives in the house, according to court documents. Facebook accounts belonging to Harris features pictures of and Zachary Koehn, as well as their two children. “Full time mom,” she wrote in one profile; “mommy forever,” she wrote in another. The pair will be arraigned on Nov. 2.